Training Blog » Training » Power BI » What is the Future of Power BI? What is the Future of Power BI? Did you always wonder if you could access correct data for better business insights and decisions? Although there are numerous tools to deduct the right information, Power BI is quickly emerging as a leader when it comes to Data Visualization and Business Intelligence. In recent times it has taken giant leaps and the trend doesn’t seem to die. But, is it here to stay? Let us analyze its future. What is the future of Power BI? The demand for BI (Business Intelligence) and Decision Making will not dip in the near future. Definitely, no other BI tool is going to overcome Power BI’s dominance in the next ten years. Also, Power BI is easy to use and excellent for data visualization. Moreover, the product is a Microsoft product. What makes it potent is that a range of products from Microsoft are already global leaders. Integration with Power BI is not only essential but also it augurs well for its users as the brand ensures it is here to stay with adding features every week at a random pace. How has Power BI Evolved? The genesis of Power BI happened in July 2015 when it evolved out of Sharepoint’s key feature. Slowly it graduated out of its shareable feature to a full-fledged cloud-based data analytics and visualization service. If you recall, in 2010 Microsoft introduced Power Pivot in Excel, a visualization tool called Power view and Power Maps for representing spatial data. Now, you have it all in Power BI along with other excellent features like Natural Language Query QnA. Today, Power BI provides the users to create reports and interactive cloud-based visual dashboards without the help of an administrator or any information analyst. The service is available for both desktop and cell phones. Since its inception in 2014, Microsoft has heavily focused on the evolution of Power Bi and today it has emerged as the front-runner. If you are looking at Power BI as just another cloud option to Microsoft Excel’s Pivot tables/charts or a mere data visualization function, you will be surprised by how much more it does. As a user, you can slice data into various analytics with the help of Power BI. Microsoft over time has strived to bring many of their features of various programs under one superior data visualization platform. The Gartner Group considers this platform to be the most inexpensive solution available in the market today. They approximate that it is about 80% cheaper than other cloud platforms. Moreover, Power BI Desktop option is free to use. One of its most powerful attributes is Power BI can connect to any cloud-based data source. 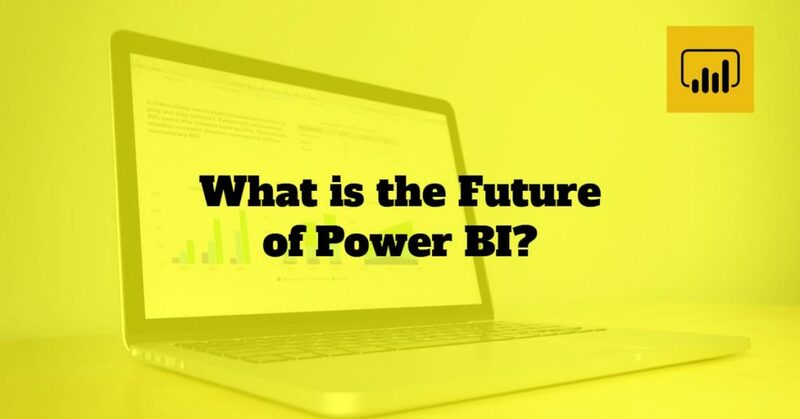 With more than 70 connectors, report packages and built-in dashboards by Microsoft itself and others like Excel, Quickbooks, GitHub, MailChimp , Salesforce, Zendesk, Google Analytics etc., and more on the way, Power BI easily connects to all of these data sources easily. With Power BI, users don’t have to rely on their analyst or data administrator to access or process data. They can learn it with ease in no time. Imagine if the employees can analyze data and create reports, how good it is for the companies to make quick and effective business decisions. Power BI helps you in drilling down your available data for deeper insights. You can easily access and analyze data from various sources and integrated them seamlessly. The custom-made visualization dashboards can present the data in colorful and unique ways for your consideration. You can access the dashboards from anywhere. Their apps are published for all devices. You can even access them on your Android, Windows and Apple phones and tablets. You can easily save hours pulling out data from innumerable sources and then re-compiling them. Mailing them all to various destinations can be cumbersome too. With Power BI, you can quickly set a schedule to refresh data. The data then automatically gets updated with periodic refreshes, thus saving tons of time and money for an organization. The inbuilt intelligence in Power BI handles many queries in simple language. If you ask a question, this tool presents data based on your natural language query. It creates and presents data in a visual form to you for better comprehension. Also, it eliminates the process of waiting for an analyst to come out with the reports. Is Power BI the Future of Excel? Microsoft Excel has come a long way. With the inclusion of Power Query, Power Pivot, Power View and Power Maps, you can today integrate, cleanup and manipulate any data. With the Pivot tables and the formulae already popular, let us check out how Power Bi is empowering Excel with its advanced interactive tools. Power BI actually enhances the functionality of Microsoft Excel manifold. It not only analyses and represents the data visually but also it makes the sharing process smoother across all devices. Unlike the Excel analytics tools, where you connect outside its domain to functions like Power Query, Power Pivot and Power view in separate windows. And then take the help of tools like Excel, HTML5, SharePoint to share these complex data. Wit Power BI you can avoid these unnecessary steps with one cohesive application. Today, Power BI has taken a significant leap forward in business intelligence service solution. Excel which was once the leader has to take the help of tools like Tableau but feels cramped for doing a lot of outside third party integrations. Though Excel provides powerful analysis to any kind of data, Power BI enhances it with its interactive tool. You can now quickly scan and find key insights into the data and represent them in impressive visual forms. Today it has nearly a million users at more than 50000 companies around the globe. Because of its speed every week new features added to this powerful platform. When there is a demand for a user-friendly tool for data analytics and business intelligence. With a strong brand name of Microsoft behind it and many powerful features like easy integration to popular point solution and interactive visual dashboards. I see no point in harping over its acceptability in the future. Moreover, it is easy to use and every week you see a new feature popping inside. When you can view it from your cell phone from anywhere, and with the demand for business analytics on the rise, do you think the growth of Power BI can be stopped? Is Power BI as a Good Career Path? When we know that the future of Power BI is strong for the next decade or two, is it a good career path for you? Like to manipulate data, charts, graphs, and love to play with visual models. Strive towards making better business decisions by analyzing a set of data. Good at pulling out the right information from other key data sources. If the answer is yes, then you must look at Power BI as your career path. It is not only easy to comprehend but also can help you excel in various businesses. It is a potent business tool and more of a skill than a job. The demand for this skill is high in Data Analytics, Business Intelligence, and Data Warehousing and can give you an edge over your peers. Recent surveys show many Fortune 1000 companies are heavily investing in hiring and training people in Power BI. So, if you are pondering over getting a certification and training in Power BI, what are waiting for? Grab this opportune moment and up-skill yourself.